Personally, I find clowns a wee bit creepy, but my children love them. Oh, how clowns make them laugh! We recently had the treat of enjoying a local clown show at the library. Back at home, my kids acted out every skit, trick, and joke they saw from the show earlier that day. Needing some down time (and a break from my kids’ clowning around) I hauled out the craft supplies so we could make Paper Plates Clowns. 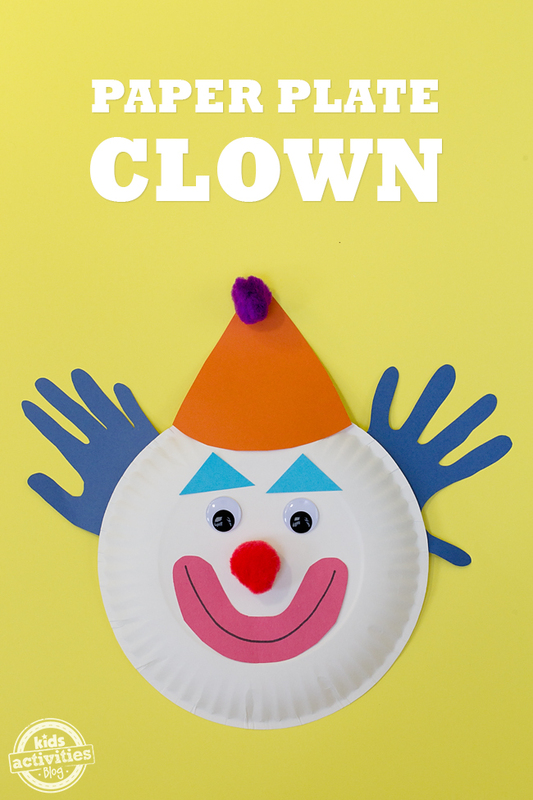 This paper plate clown is a cute and easy craft for circus themed birthday parties or for celebrating a clown show. Perfect for preschoolers, this craft also reinforces basic shapes and is great for developing fine-motor skills. After gathering supplies, trace your child’s hands on a sheet of construction paper. Invite them to cut out their hands with scissors, as they will become the clown’s hair. Cut out a large triangle for the clown’s hat and smaller triangles for around the clown’s eyes. 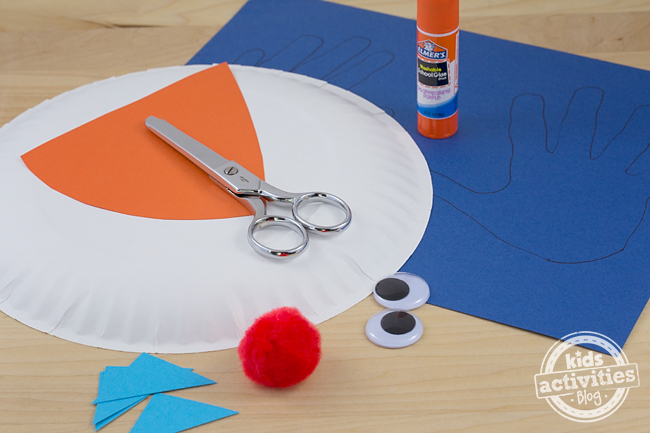 Glue the wiggly eyes, pom poms, hair, hat, and eye triangles to the paper plate. 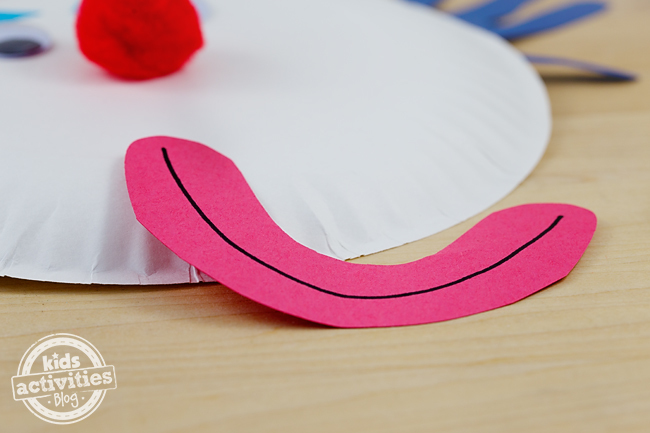 Cut out a large red mouth from construction paper and invite your child to draw a line in the middle of it. Glue it in place for the clown’s mouth. 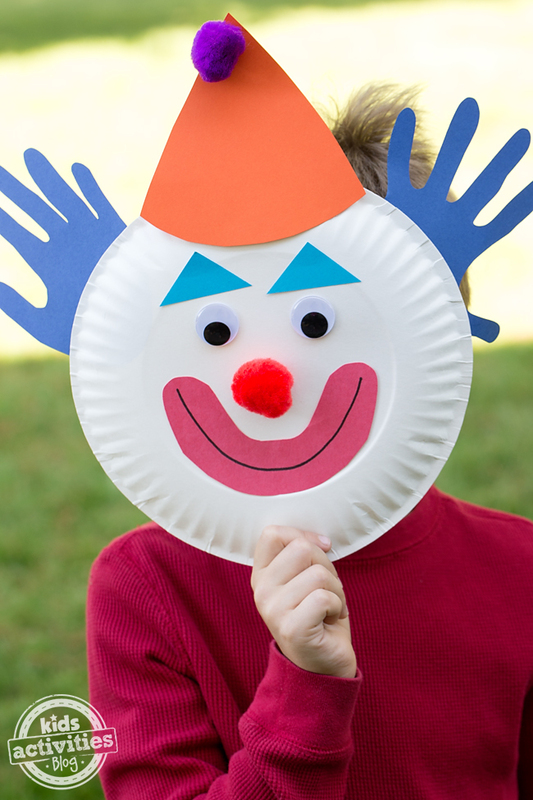 When the paper plate clown is dry, hang it up or invite your child to play with it. Children could also decorate the clown’s hat with markers, stickers, or additional pom poms. 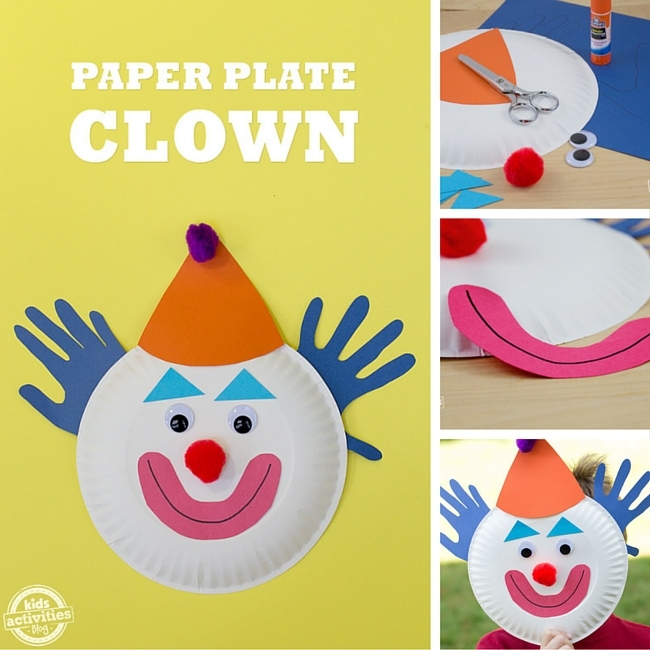 Optional: Glue a wide craft stick to the back so the paper plate clown can be used as a mask. This craft is wild, wacky, and perfect for kids! Where do you stand on clowns ¦creepy or cute?